Whew! This Chocolate Chip Cookie Quest has definitely been a journey. I was basically baking two different recipes a day for an entire week. Needless to say, I am CCC'ed out (well, almost). Still, it was an eye opening experience and I've learned a lot about what makes a good chocolate chip cookie. I've even made a table so you can see how each recipe compared to the others in terms of ingredients and the amounts used. It's included at the bottom of this post. Okay, so this is what I learned. First of all, it's not necessary to go out and buy a high quality chocolate bar. I've made nearly all of these with my regular store-brand semisweet chocolate chips and I can tell you right now that the cookies tasted perfectly fine with them. Secondly, chilling the cookie dough is probably the very best thing you can do. It gives the brown sugar a chance to really meld with the dough and the flavors will deepen exponentially. Third, become friends with browned butter because it is awesome! And now, the moment you've all been waiting for (drumroll please . . . ). 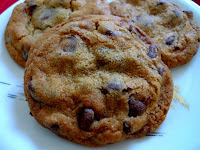 The winner of the Great Chocolate Chip Cookie Quest of 2011 is . . .
What can I say? I just couldn't decide between the two and neither could my family. 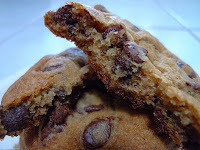 Both of them were thick and chewy with crispy edges and chock full of rich butterscotchy flavor. Just one bite and you're in absolute chocolate chip cookie bliss. With the depth from the browned butter, these cookies were a close second. Plus, they didn't require any chilling time, which means instant eating gratification. While these cookies didn't have the powerful caramel punch of the winners, they were still everything that a chocolate chip cookie should be in my book. They were thick, chewy, and tasted as though they came from a bakery. Just one isn't enough. Trust me, you'll be reaching for another, or a third. I can't believe it. 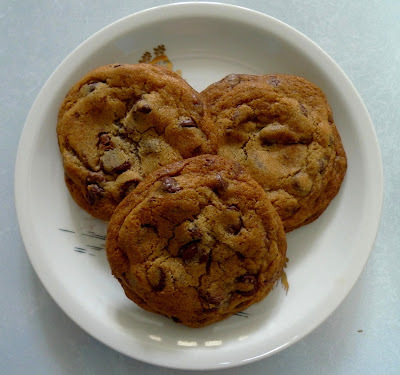 I started a quest to find ONE best chocolate chip cookie recipe and I ended up with FOUR excellent keepers. They are all winners in my book. Basically, it all comes down to one thing - how long are you willing to wait for your cookies? If you can wait 48 hours, then by all means go for the King Arthur Flour Chocolate Chip Cookies. If two days sounds like too long, then hopefully you can hold out for one day and make Joanne Chang's Chocolate Chip Cookies. If you're the type that will literally have cookies on your mind until you eat them, then try the Ultimate Stand Mixer Chocolate Chip Cookies. They'll work their magic while you sleep. 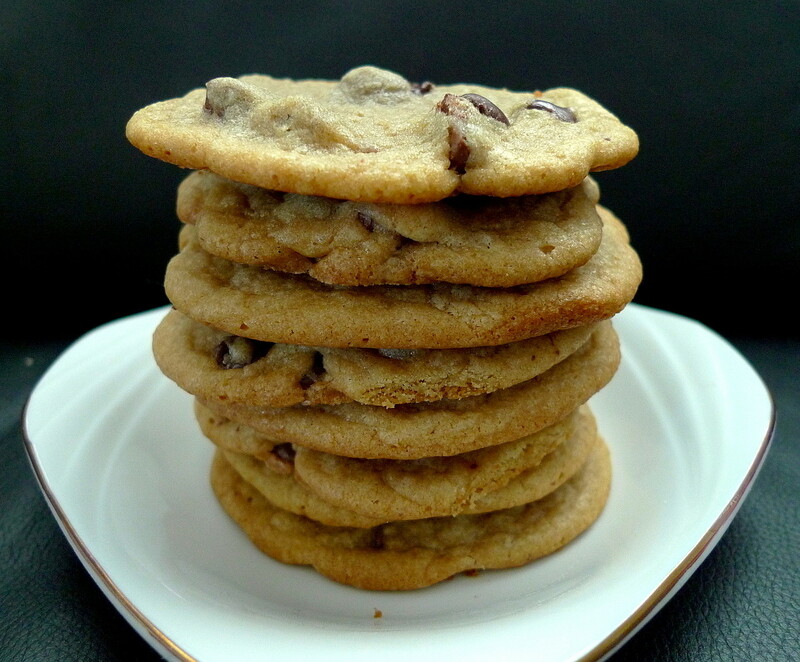 Finally, if you're the type that finds it hard to even resist the cookie dough while it's still in the bowl, then America's Test Kitchen Chocolate Chip Cookies are for you. Just mix 'em up and bake 'em up and you'll have a delicious cookie in your mouth before you know it. I just want to say a BIG thank you to all of you for following me on my CCC journey. I've enjoyed reading all of your comments and hearing your recommendations for other CCC recipes. You're all just the sweetest. I'm definitely considering doing another quest in the future. I've thought about going for the best brownie but I'm open to other ideas. So, what type of quest would YOU be interested in? 1 ½ c. semisweet choc. 1) The first table contains variations of the basic chocolate chip cookie recipe. The second table contains recipes that use a lot of ingredients and methods that you don’t normally see every day. 3) “Flour” always means all-purpose flour unless otherwise specified. “Butter” is always room-temperature/softened butter unless otherwise specified. 4) Any ingredients that would be considered “out of the ordinary,” or vastly different from those used in other recipes, are written in RED. 5) These charts are purely for comparison purposes so you can see how each recipe differed from the other. The complete recipes can be found in my blog posts for each one. WOW, what a thorough comparison! Great post, Lisa...and I think my family wants to test them ALL! Thank you! I'm from Boston and I am always, always, always dazzled by Chang's goodies at her Flour bakery. Santa gave me her cookbook for Christmas, and it really is amazing how her recipes are so spot on. I love the tables for comparison, very interesting. I can't wait to try a few of these and compare for myself! So I decided to go with the KAF cookies just because I love their recipes :) The time and effort you put into this is unbelievable and greatly appreciated...especially the chart at the bottom to compare; thank you! Congrats on a choosing a winner. I'm sure this was a difficult process and all ;) I've really enjoyed following! Hats off to you! You have really done a lot of work and baked a lot of CCC's to look for the best recipe and I thank you! I always just make whatever recipe that is on the bag and all though they turn out fine, I am never quite pleased. 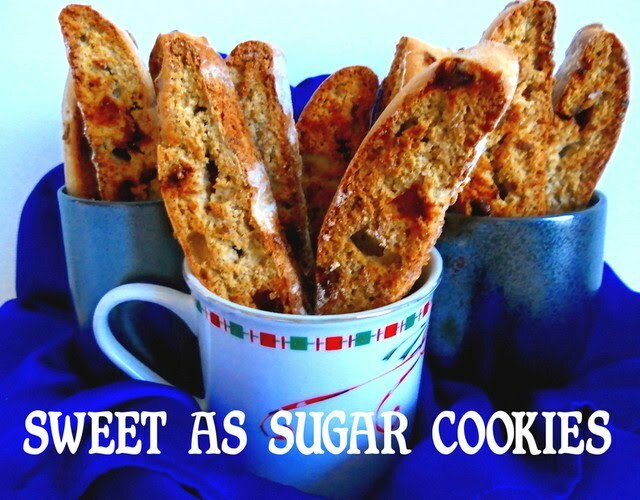 Next time I bake CCC's I will definately try one of your #1 recipes! Looks like I'd better try Joanne's cookie soon. It's been a fun experiment to read about! I couldn't wait to see your winner and it is the one I bookmarked! I loves this journey you've done! WOW, Lisa! I so love the testing process you put into this ... I'm very much a tester, too. I'll be using some of your recipes to run my own tests soon. Thanks for doing so much of the work for me!! I would absolutely LOVE it if you did a brownie quest ... I've had such a hard time finding a brownie recipe that I'm completely happy with. Love your blog. Oh my gosh! Table = most impressive! :) I've enjoyed following your quest! Your reviews and details about each recipe have been so helpful. I love the table, so interesting to compare all the quantities of ingredients in each cookie. The top two sound amazing. I can't wait to give them a try. What a tough job! Not! Wish I was your neighbor! 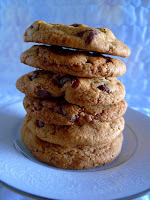 My family loves chocolate chip cookies and I will be trying the winners! I love CCCs and thought I'd found the best recipe for me, but now I feel compelled to try out both of your winning recipes. They look and sound SOOO good! I don't know if you're a cheesecake fan, but I always thought that would be an interesting comparison to do. Brownies would be good, though, too - since I usually resort to a box mix! Thank you so much for doing all the work for us to find the best CCC! (well, eating CCCs isn't really work, now is it?) I will definitely take your recommendations to chill my dough and brown my butter. Awesome project! I have enjoyed every single post, and I will certainly try the winning cookie! Oh goody. I'm trying the King Arthur. I love those America's test kitchen cookies too, but to me they're in a different category than traditional chocolate chip. I'd call them caramel chocolate chip cookies because they have so much caramel-y flavor. However, when I want a standard chocolate chip cookie, they're not always what I'm looking for. And I don't have a stand mixer, so that's out, but the King Arthur sounds so awesome and my sister is coming this weekend so it's perfect. Love this. I have really wanted to do a cc cookie comparison myself. Thanks for the chart! Definitely a labor of love. :) Awesome work on the chart to compare them all. Since that post, I have found my new favorite (so far). They come out beautiful each time and are thick and super tasty. Here's the recipe! Oh my! I like this kind of test! It is so interesting to look at your charts and compare! Too funny, I was going to make Flour's choco chip cookies this morning but went with America's Test Kitchen one instead (which I adore). Can't wait to try the winner! I ditto what everyone has said thus far!!!! Great job and trouble you went to, to be able to find your favorite CCC!!! Thanks for making it easier for the rest of us. I was thinking maybe at Christmas, a sugar cookie test. Really, which recipe it the best???? Thanks again! Yay! Glad you've found some winners. They both look like awesome CCC's! You made 13 different cookies? Wow! I'm impressed and surprised that you like Joanne Chang's the best. They look different from mine - mine didn't spread as much. I would love to see a brownie one! Thanks for adding them to my round-up - this is a good reference. 3 CHEERS for you, Lisa!!! I love love love CCC. Thanks for tabulating all these recipes! I will bookmark for my future CCC baking! Just wanted to say that I love this post! Definitely going to give the KAF cookies a chance soon. Saving this one, for sure! You've finally found your favorite or favorites is more like it. What an amazing journey through CCC land! Thank you for doing all the hard work. Thank you for such a detail report! :) I just saw another food blog baked up Chang's CCC! Now, that's crowned the winner, I really can't wait to make a batch of my own! Thank you so much for sharing and testing out the CCC recipes for us. Your Rock, Lisa! WOW! How impressive! Thanks for all the work you put into this and most of all for sharing!! This quest was so much fun to follow along with! Thank you for the comparison chart! Other than David Lebowitz, the rest don't have enough salt in my 'not so humble' opinion! Now that is a chart! Wow, way to research this for the rest of us! Thanks for linking it to "Made it on Monday"
Whoa... I gotta admire the sheer number of recipes you tried! And then cheer for the 2 New England winners. I don't know if I'll ever be able to wait 48 hours to bake up cookie dough, though. This is an awesome post!!! I love how you 'took apart" each of these recipes and presented them in a grid. What a great experiment. I was excited about the one from My Recipes because it had only brown sugar and in my opinion, it is the brown sugar that makes the difference. I hope you enjoyed this. You worked hard on it and I learned a lot from your results. Thanks, Lisa. Today I told myself I was starting my diet and in turn I had this crazy desire to make your ATK cookies! Funny how I always seem to do things like that! They were great! I LOVE the browned butter! Oh my talk about a caramel flavor! thanks for all the hard work. If I do a post I'll be sure and link back to you! Lisa, Wow! You've done a great service to chocolate chip cookie fans all over the world. You're a 1-woman America's Test Kitchen! Awesome!! My girls and I will definitely be giving some of your top picks a try! I'm sharing a link on my Facebook page too.